First published in 1972, the work provides an introduction to Dada and Surrealism. It explores the two movements and their cultural significance. It also looks at those who called themselves Dadaists and Surrealists, including their aims and achievements. In doing so, the book identifies the meaning that the two terms have acquired, which is often remote from the claims advanced by the chief adherents of each movement. 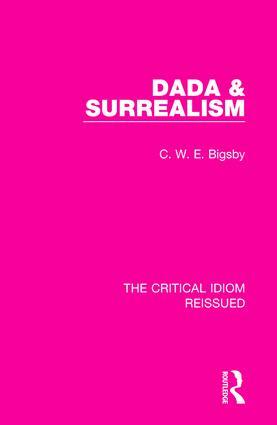 This book will be a valuable resource to those studying Dada and Surrealism and its relationship to modern literature.